‘What is the Kingdom of God like? And to what shall I compare it? It is like the mustard seed that someone took and sowed in the garden; it grew and became a tree, and the birds of the air made nests in its branches’. I cannot believe it is the end of Term 1. We have had an amazing term filled with learning for both the children and the teachers. Our new staff all feel very much part of the community. Thank you to everyone for your support in making St Monica's a great community. 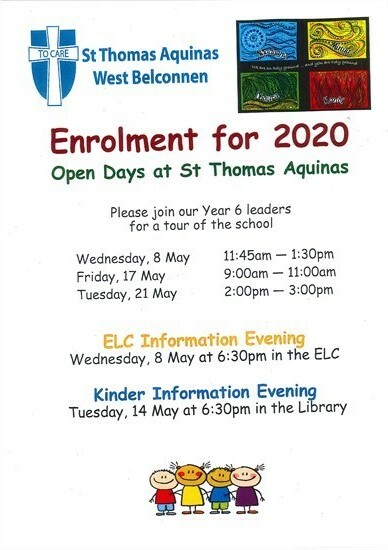 Yes it is almost enrolment time, please spread the word. This year enrolments will be able to be submitted online, which is very exciting. The online option will not open until the commencement of next term. 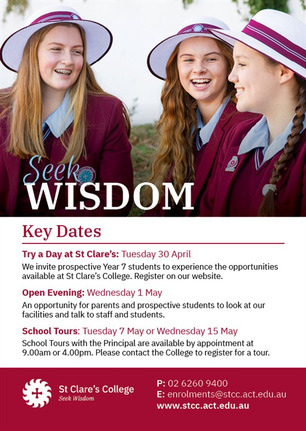 Lots of families have offered to deliver our open day fliers. We still have a number of areas not covered; if you are able to help please drop into the school office to collect a bundle. Unfortunately last year we had issues with the company we engaged to deliver the fliers so we are reaching out to our community this year for help. The holidays is a great time to go for a walk with the family and deliver our brochure. Many thanks to Jodie May for her work in 5F this term. Commencing next term we welcome Miriam Hilton who will work in 5F on Thursdays and Fridays to enable Liz Foster to fulfil her leadership responsibilities. We continue to move to additional options on on new SZine App. Have you downloaded the app to your phone. Early next term we will commence sending out our alerts through the app and close down our Skoolbag app. The change is due to the Catholic Education Office covering the cost of the subscription, a saving for the school. Our solar panel project is well underway. Installation will continue over the holidays with the project to be completed early next term. Commencing Monday Term 2 the children are to wear their winter uniform. Our Uniform Shop will be open on Friday morning between 8.45am and 9.15am tomorrow, 12 April. The shop will not be open in the holidays. The shop will reopen in the first week on Monday and Friday mornings. Recently I expressed my concern regarding the new bus arrangements serving St Monica's, from the commencement of next term. Below is a copy of the response your your reference. While I understand that you continue to have concerns about the changes to the public transport network, there are no current plans to make changes to services for St Monica’s Primary School. The new public transport network will commence on the first day of Term 2, 29 April 2019. However, the Government has committed to an annual review of public transport services for schools, and if any issues are identified once the new network has commenced, they could be considered as part of this regular process. The new bus network together with the commencement of Light Rail represents the most significant investment to public transport in the ACT ever. Customers will also be able to take advantage of the new integrated transport network with a month of free travel when using a MyWay card from Monday 29 April. If your student catching a bus on Verbrugghen Street is on bus route 41, they will be able to hop on this service from Moynihan Street instead. 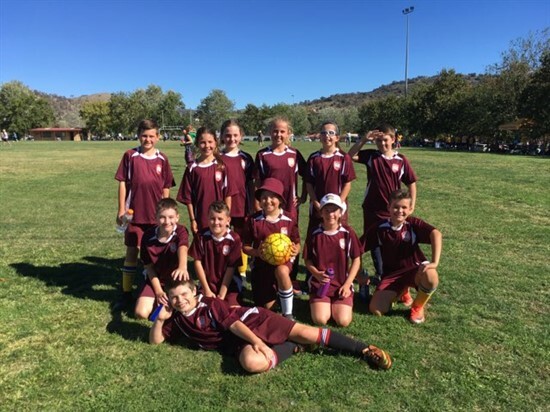 Through the Active Streets for Schools program, Transport Canberra and City Services is consulting school communities to support infrastructure improvements around schools to support walking, riding and use of public transport. Improvements will commence in 2019 following the consultation process. I have sent your concerns of not having a school crossing to this area for consideration. 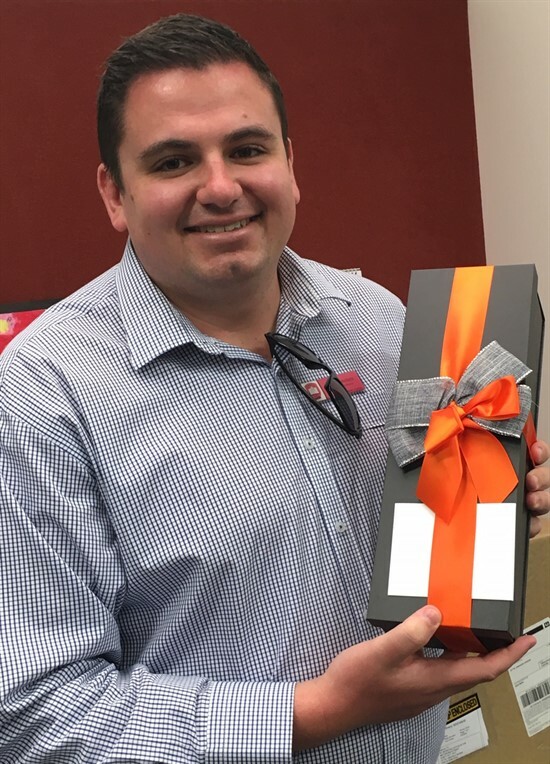 Congratulation to Ryan Matchett who is graduating with a Masters of Education tomorrow. Ryan currently holds a Master in RE. Well done! Wishing everyone a Happy Easter and may it be a time to stop, pray and reflect with family and friends. Faithful God, we stand in the dim shadow of a cross, longing for resurrection. 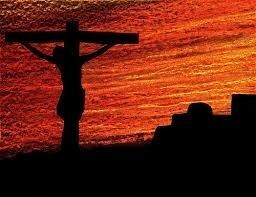 But today we pause to remember the pain of the cross, and the pain of the crosses we’ve faced. We pause to cry for the Sudan, for the Middle East, for East Timor, for the African continent, for people fleeing Syria and trying to find a place to call home, for the people of Christchurch, seeking a place of safety. As the disciples wept on that fateful day so long ago, we weep for the Saviour and for the tree, and all the trees that one represented, from which he hung. We cry for our ecology: birds slick from oil; forests decimated, causing mudslides and runoff; air polluted due to our disdain for the creation that cries for us. As those first disciples wondered whether that fateful day was the end of their dreams, we admit we are afraid that our dream of a just, non-violent world is fleeting and in peril of death. Help us, God, as we live in the tension between this death and your seeming silence, the time after the crucifixion and before the resurrection. This week the students at St Monica’s have walked with Jesus the events of Holy Week. From Monday prayer when the school community was welcomed to Jerusalem- with palms and songs, to today where we meet in the upper room and then on to the road to Calvary. You may have noticed the large cross at the top of the stairs. This represents the 12th Station- Jesus Dies. Perhaps you could pause as you walk by and say a pray for all who are suffering in our world. Tomorrow 3L will lead us through the amazement and joy of Easter Sunday morning. 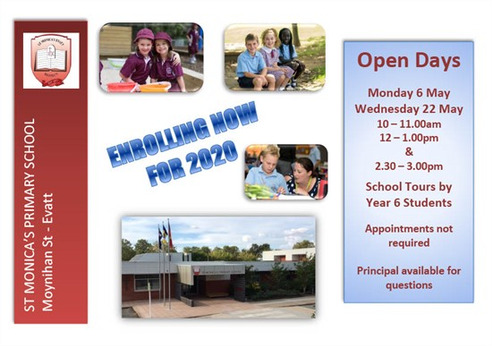 Please continue to send in your enrolment information. Thank you to those who have already! Stations of the Cross Every Friday during Lent - 7pm at St Michael's and 7pm at St Monica's. Holy Thursday 18 April - 7.30pm at St Michael's and 7.30pm at St Monica's. Good Friday 19 April - 10am - Stations of the Cross, 3pm - Adoration of the Cross - at St Michael's and St Monica's. 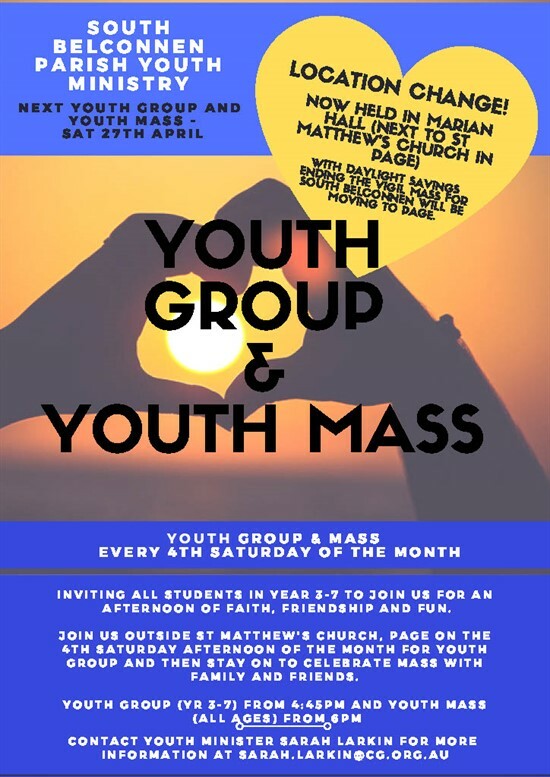 Holy Saturday 20 April - 10am-12 noon - Reconciliation, 7.30pm - Easter Vigil - at St Michael's and St Monica's. All parishioners are invited to the Chrism Mass of the Holy Oils which will be celebrated at St Christopher's Cathedral, Monday 15 April, at 7.30pm. It is at this Mass that the Holy Oils used in the various sacramental rites of the church are blessed and consecrated. This week, our article comes from educational Jon Bergmann who published the book Solving the Homework Problem by Flipping Learning in 2017. The first chapter of the book outlines the purpose for moving to flipped learning and is available online. The reading below is a blog post Jon made before writing the book and is a brief summary of how flipped learning can be used to improve the purpose and quality of homework. On Monday 8 April, Years 5 and 6 had a very special guest come to speak to them in the lead up to ANZAC Day. Mr John Fleming who is the great grandfather of Haylie (6E), Logan (3M) and Alec (KRC) spoke to the children about his service in the Second World War. Mr Fleming is 99 years old and served with the 9th Division of the 2nd AIF (Australian Imperial Force) in places such as Tobruk, El Alamein and New Guinea. Mr Fleming shared some of his experiences and memory of how the men in these notable battles shaped the outcome of not just the North Africa campaign, but the Second World War. Years 5 and 6, their teachers, and especially Mr Evans would like to extend their thanks to Mr Fleming for making the time to visit and share his experiences of these historic events. Our students are very lucky to be able to say that they have met one of the renowned 'Rats of Tobruk'​. 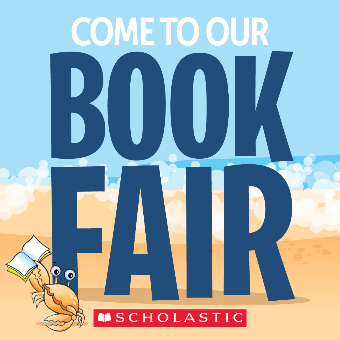 We will be holding a Scholastics Book Fair during Week 2 in Term 2. Students have received a Brochure inviting them to the book fair and showing the great titles that students will be able to purchase while supporting the school. The Book Fair will be in the library and will be open from 8.30am to 9am Tuesday to Friday and Monday to Friday 3.10pm until 4pm. 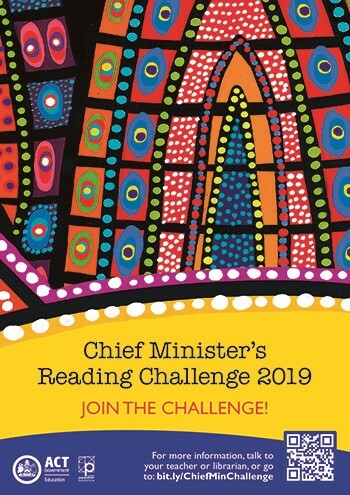 This year St Monica’s is participating the Chief Minister’s Challenge. The challenge involves students reading 30 books before 13 September. There will be prizes awarded to winning schools, but most important it is a challenge that engages students in reading. The students may read 30 books of their choice. 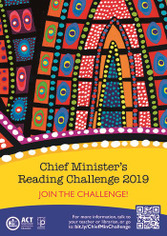 Information about the challenge can be found via the link to the The Chief Minister's Reading Challenge. The students in Years 1 - 6 received their Individual Student Reading Record today. When the students finish a book, it must be initialled by their parents or teacher. Kinder will do the challenege as a class group. On Sunday, St Monica’s participated in the Catholic Schools’ Soccer Carnival at Calwell Playing Fields. We entered 6 teams – 3 in Years 3/4 and 3 in Years 5/6. 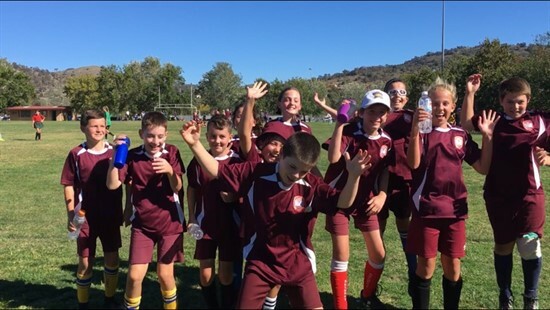 It was pleasing to see so many children participate and try their best, for many it was their first soccer carnival. 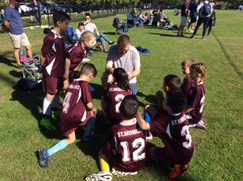 All children were a credit to St Monica’s, displaying team spirit and fair play. A very big thankyou to our coaches, managers and parents who supported and helped on the day. 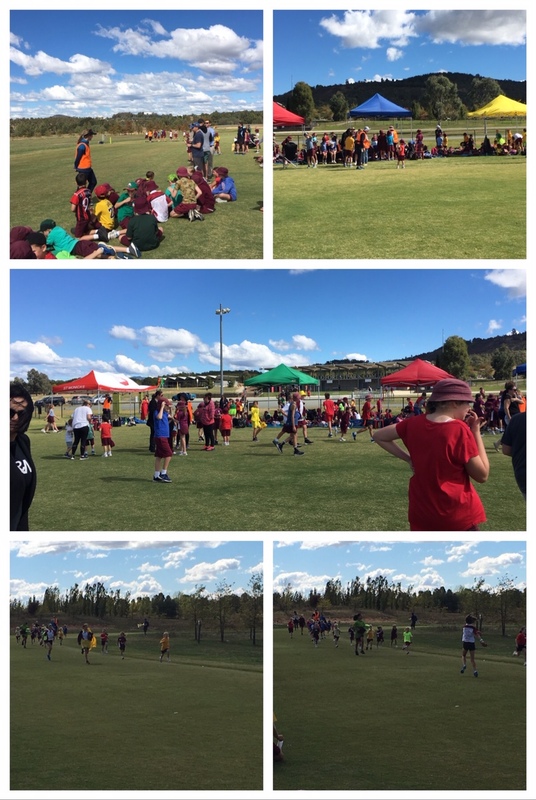 The 2019 Cross Country Carnival was held at Stromlo Running Park on Tuesday 9 April. We were blessed with a beautiful sunny day, with some gusty wind. It was wonderful to see the children participating with great enthusiasm for their house teams and cheering each other along. A very big thank you to the parent helpers who assisted in the canteen, as track officials and marshals. Days such as these are only possible when we have lots of volunteers. Thank you to Mrs Manning who organised the canteen facilities and all the teachers who supported and assisted the children. Congratulations to the students who came in the top placings for their race. 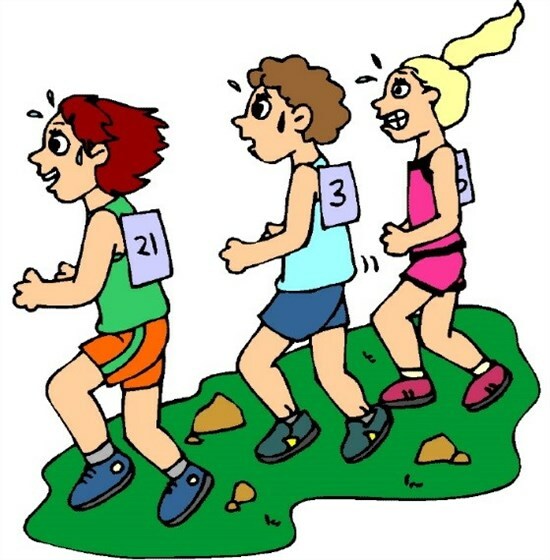 Students who will be selected for the Belconnen Cross Country will announced at a later date. Thank you to Emma Russell, Ryan Matchett and the teachers for their organisation. 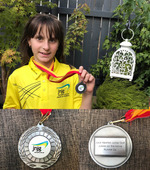 Congratulations to the St Monica’s team who played in the final of the 2019 ACT Primary Schools Girls Teams Chess Championship last Friday. The team came fourth, narrowly missing out on third place. 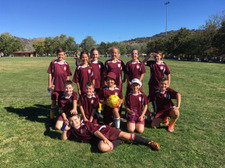 Congratulations to the following players who represented St Monica's in the seven match tournament: Sarah D-H (4.5 points), Charlize S and Mary D-H (4 points), Annalise S, Annalene L, Indiana H, Zarah L and Isabella H (3.5 points). 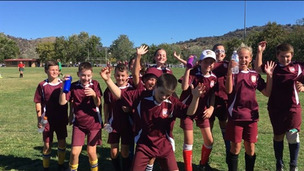 The team showed great team spirit and were great representatives of the school. Wonderful work girls! Chess ribbons will be presented at Assembly tomorrow. 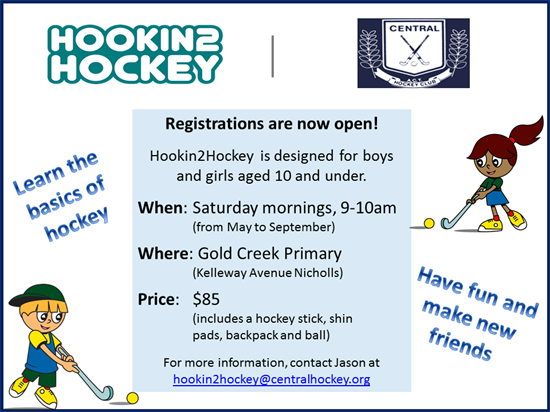 Thank you to Evelyn David-Hoole for coordinating this event. Very much appreciated. Congratulations to Yaroslava K (6M) who was runner up at the Juniors on the Move ACT #2 (Jack Newton Junior Golf). Happy Birthday to the following students celebrating a birthday next week and throughout the school holidays. Council met last week. The Council congratulated the fete team and all who contributed on the awesome effort to raise $40,000 for the school. Council are planning to use these funds towards the construction of an outdoor classroom -an alternative space for students to learn. Council also discussed the need to do some succession planning for our fresh tastes/gardening team - our team have a few families who are due to leave the school in the next 2 years. We would love to hear from anyone who is interest in getting involved? Council also discussed the possibility of a social function for families or parents to help grow connections in our community - we would be interested in hearing about preferences or ideas? A friendly reminder to families that full payment of Term 1 school fees is due. If you have a Direct Debit arrangement in place, please ignore this reminder, no additional payment is required. As always, please contact the School Finance Officer should you need to discuss your school fees account. 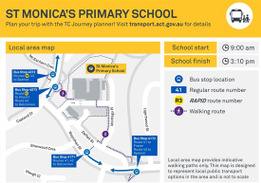 A reminder regarding bus route and timetable changes that will be in place on 29 April 2019, the first day of Term 2. Please note that every bus route will have a new number/timetable and route. You can check your child’s new timetable/route by referring to the attachment to this email. This attachment provides a summary of all services for St Monica’s PS, as well as details for each individual route/timetable. In the coming months St Monica's will be joining the Active Streets Program. This is very timely due to the changes occuring with the introduction of the new bus arrangements and timetable. ​The Active Streets for Schools program is an infrastructure program – supported by educational resources – to make it safer and easier for children to walk or ride to school. Our school will be supported by the program over the next four years. Active Streets helps to make school environments safer and more accessible by providing a range of tailored solutions depending on the school and local environment. Improvements may include new or improved footpath connections, more dedicated crossings or traffic calming (e.g. speed humps) to ensure the trip is safe and easy for children to navigate. 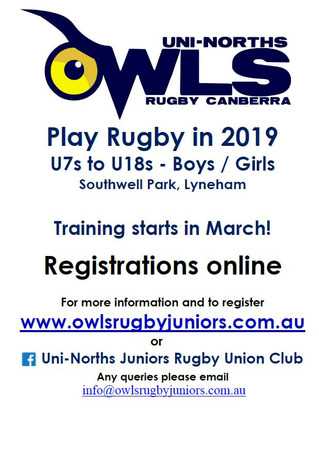 Please contact Ryan Matchett at school if you would like further information.